William “Bill” Becker passed away three days ago after a long life of 90 years. The Univ. of Iowa. A trumpeter with doctorate was VERY rare at the time. I have been visiting San Luis Obispo on the Central Coast of California for many years. It was an easy “escape” place for me to fly to. The weather is perfect, the ocean is very near and the restaurants and shops are wonderful. In 2009 (when the housing market crashed) Jamie and I bought a townhouse there and visit as often as we can. 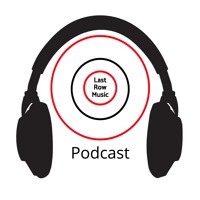 Jim was interviewed in the first episode of Last Row Music Podcast. Click on following image to listen the Podcast in full. Bone2Pick: Jim Self Interview – YouTube interviewed by Michael Davis (42:34). 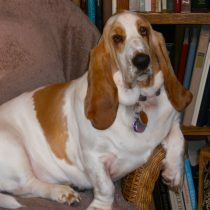 Today Magnolia, our dear Basset Hound, went to the Rainbow Bridge. It was very difficult for Jamie and me. But she was suffering so much that we decided it was time. She was not yet seven years old. We called her Nolie–after the character in Show Boat. I have had Basset Hounds for 46 years and they have been a big presence in our lives. I named my little music business Basset Hound Music and my record label is Basset Hound Records. 20 years ago I built a big music room onto our home and named it Basset Hall. Throughout our home we have dozens of Basset figurines. One of my CDs and a song I wrote was called “The Basset Hound Blues”. It and all of my subsequent solo CDs ended with “Dog Tags” (basset howls). Today I heard the sad news from my high school buddy Dan Brink that his mother, Ethel Brink had passed away. Her nickname was “Dutch” and she lived a long life of 94 years. Dutch was a very special person to me-­?-­?like a surrogate mother. The entire Brink family was so kind to me. My own mother Helen had a stroke when I was 6 years old and was in a wheelchair for the rest of her life. Then when I was 15 my father Pete passed away. Bob Brink, Dutch’s husband, had the difficult task of telling me that my dad had died. I lived with my grandparents until finishing high school. I just finished a very interesting week of work in my life as a free-­lance musician. I have had so many of these in the last (nearly) 40 years as a musician in Los Angeles. I am grateful that, at my age, I am still relevant and changing and growing. April 15th came with the news that I was getting a good tax return— yippee! was performed by the River City Brass Band in Pittsburgh and the Omaha Symphony. It began on Sunday with a flight to Pittsburgh and a rental car to my hometown of Oil City, PA. There I spent two days visiting my “step mother”, Ethel “Dutch” Brink for Mother’s Day. She is 93 and nearly blind. I hope my visit cheered her up. She has the most wonderful children who get her meals and see to her needs. With this she is able to stay in her own home—and she does very well. I also saw my friend Doug Dinberg on this visit. He is a regional judge of the court and an avid musician. The USC Bass Tuba Quartet has put the following video together in thanks and appreciation for making it possible for us to go compete in Austria this summer. It was an unbelievable and life changing experience for all of us! Thank you! Today I am reminded of that famous soliloquy from Carousel called “My Boy Bill”: a proud father going on about his son. I got a call this morning from my nieces Kelly and Suzie. Their father (and my brother) Bill died this morning. I am very saddened by this news and I don’t know how best to express my feelings other than to write my memories of my brother Bill. He is the first of the Self-­siblings to die. It affects me greatly-­-­as I am sure it does Barb and Joe. He was 78. This memoir is strictly my feelings and experiences and I hope my facts are accurate. His life was so much more than I saw from afar. Last week one of my best friends in high school died. He was John Velier. I am at the age where too many friends and family are dying. It helps me to reminisce. In 1969 I was hired to teach tuba at the University of Tennessee and play in the Knoxville Symphony Orchestra. One of my colleagues was Bill Scarlett who was the Clarinet professor, Principal Clarinet of the KSO and a uniquely gifted jazz saxophonist. We became great friends and have remained so ever since. Bill passed away this week and I want to write a few words so I will be reminded of how important he was in my life. 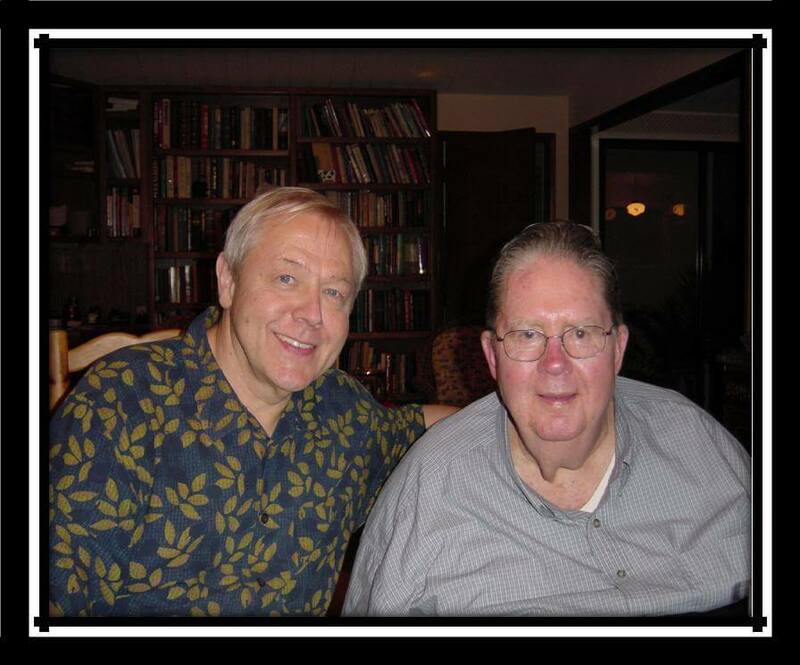 Jim remembers the gregarious, warm, friendly, mentor and colleague Dan Perantoni. I take the liberty of calling him Harvey even though he had many titles including Mr., Dr. and Distinguished Professor. But he always made me feel comfortable with calling him by his first name. 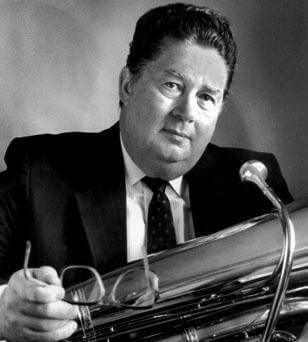 I don’t worship anything (especially other mortals) but Harvey Phillips was as close to a “tuba god” that I have ever known—he was inspirational! Jim recounts two weeks in early 2011 spent with playing, coaching, listening, and conducting. These two events were real highlights of my life and career as musician. They took place within 2 weeks of each other and put me in situations where I could demonstrate my best playing, composing skills and clinic/master class stuff. Tonight we finished the last Gotterdammerung at LA Opera. It was the end of a two-year commitment to the most elaborate, longest, and (arguably) the most important work of music ever written. 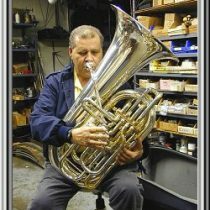 In 1996 R. Winston Morris and Edward Goldstein published the first edition of the Tuba Source Book. It was a monumental effort to compile complete lists of all music written for tuba by category, composer, publisher and recordings. It produced thousands of entries of all the music they could find at the time and has become the best and most complete source of tuba literature. Dozens of scholars participated in the compilations. 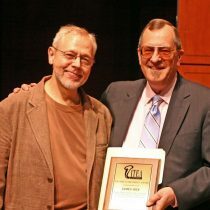 The editors wanted the book to be more than music lists and asked a few musicians to write articles on related topics of interest to tuba players. I was asked to write a chapter on Doubling for Tubists. It is a lengthy report from my many years a freelance tuba player and doubler and reflects only my observations and opinions. I just finished a very interesting and challenging week playing 2nd Tuba on Symphonie Fantastique with the Chicago Symphony. Gene Pokorny invited me to play with him and it made a profound impression on me. I was conscious all week of the entire CSO operation from the musicians, to the physical plant, to the management, to the audience, to the city. I felt greatly honored to play with Gene and that superb ensemble but to also be so warmly welcomed by everyone. The guest conductor was Fabio Luisi, who I found to do a terrific job. 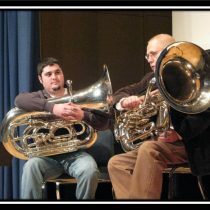 The 2009 Southwest Regional Tuba Euphonium Conference finished last night and it was 3 days of terrific artists, clinics, master classes, and concerts. Those who came were duly treated to an amazing series of concerts and clinics. Several instrument, equipment and music vendors displayed their stuff too. I was working on a picture over at Sony tonight and we finished early. So I decided to drop in at the Jazz Bakery and see who was playing. Well it was Billy Childs, a string quartet and a great group of players. WOW it was one of the most incredible evenings I have ever had. It was new and fresh and beautiful stuff. And I just stumbled into it. The FLUBA Bear – Playing Petrushka’s “Bear” on the FLUBA. The following is a sampling (about 300) of the nearly 1500 motion pictures scores that I have recorded from 1974 through 2008. I remember that these films had particularly good scores and/or tuba parts, or were pictures where I had important tuba solos. From the writer’s notes for an upcoming episode of the hit TV Show “House”. TIBALT OYYLANT, 30s, joyous, bubbly, plays “Carnival of Venice” on TUBA for one of his college tuba students. This is an almost impossible piece to play on the trumpet; on tuba, it’s almost stupid. But Tibalt is one of the world’s best tuba players and he delights in the technical difficulty. The student has a huge smile on his face watching Tibalt play. Tibalt takes a deep breath, but suddenly coughs violently, blood squirting out of the corners of his mouth. As he attempts to hold it in, the blood forcefully goes into the tuba and sprays out the bell end. And Tibalt tumbles awkwardly onto the tuba…Dead. The Recording Musicians Association of Los Angeles publishes a bi-annual Directory of recording musicians, studios, composers and useful information for the members. Each year they recognize a few of the prominent musicians who passed away. Both Tommy Johnson and his wife Pat died in the period of less than a year. She was an important violinist in our business and both are to be recognized in the 2008-09 issue. I was asked to write the tribute to Tommy. The following is what I wrote for that feature. Tour de Force: Episodes for Orchestra program notes, writing process, and synopsis. Never Again — A flight tale of a trip to Fallbrook, CA. I wrote this and it was published in the AOPA Pilot magazine monthly column: “Never Again”. They gave me $100 for the article! In the fall of 1987 I had been a pilot for nearly three years, had an instrument rating, 550 total hours and owned a l970 Cessna l72. I am a professional musician and planned a flight to Fallbrook, Ca. to perform a symphony concert on a Sunday evening with an earlier stop at Oceanside for a matinee concert. My passenger, a prominent Southern California musician, loved to fly with me but was not a pilot. I heard that there is a discussion about who is the MOST RECORDED TUBA PLAYER and want to weigh in on it. The lack of information and the mis-information on this topic is really amazing. TOMMY JOHNSON IS ABSOLUTELY THE CHAMPION. NO ONE ELSE EVEN COMES CLOSE!! Tourists are forever writing of their experiences so I will give my take on part of a recent cruise to the Baltic Sea. This was nearly a year ago. Sleep was my bugaboo!. The hassles brought on by jet lag, engine noise, lost bags frustrated my whole experience on this trip. I tried everything to fall asleep–booze, drugs, gambling, reading, sheep. Today was that “rare” day when I felt the essence of what being a real studio musician is–and should be. I was proud to be a part of this group and proud to be able to keep up with them. The business is very slow. Things just happen to be slow for everyone but, like a typical paranoid studio musician, I was wondering if my career was over! The last minute call reminded me of the date I did (as a sub for Tommy Johnson) for John Williams for the Conversation in Close Encounters of the Third Kind. That was 28 years ago.